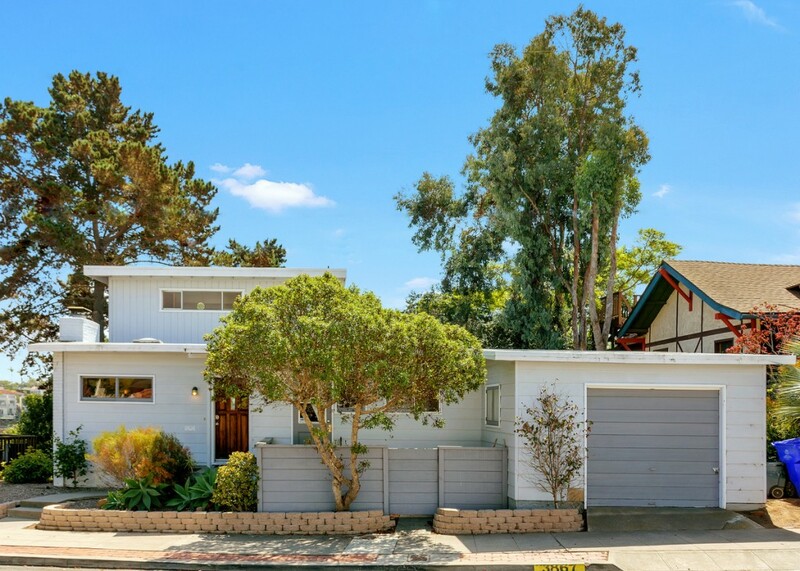 Priced at $799K-$849K Mission Hills Home with Downtown and Bay Views on a Quiet Street! This home features Wood Flooring throughout except for the Master Suite, an Open Floor Plan with the Living Room, Family Room, and Dining Area all open to each other for a Great Spacious Feel, Multiple Patios and Decks with Canyon Views, New Vinyl Windows and Sliders, Newer Vanity in Second Bathroom with Granite Countertops, Focal Fireplace in Living Room, and Mirrored Closet Doors in the Second Bedroom. Bordered by the Pacific Ocean to the west, the Anza-Borrego Desert and the Laguna Mountains to the east, and Mexico to the south, the diverse neighborhoods of San Diego are spread out over 4,200 square miles, offering endless opportunities for exploration and activities. Spend a day relaxing in one of the many beach communities, then hiking in the east San Diego County mountains the next. Explore the urban neighborhoods of San Diego’s downtown, from the iconic Gaslamp Quarter to the eclectic community of Hillcrest. Visit the quaint and charming island town of Coronado or the picturesque village of La Jolla. San Diego’s regions are so unique and diverse; there are plenty of options to discover something new each time you visit. San Diego offers every kind of activity imaginable; from world-renowned attractions, unlimited outdoor recreation, a thriving arts and culture community, sightseeing tours and award-winning restaurants, you’re sure to find a host of things to entertain and inspire. But perhaps the best part of living in San Diego is doing nothing at all. With 70 miles of beautiful beaches, countless parks and gardens, and endless opportunities for pampering at one of the areas many spas and resorts, San Diego is the place to be.